For keep your supplies germ-free, we recommend the Sleep 8 CPAP Cleaner. 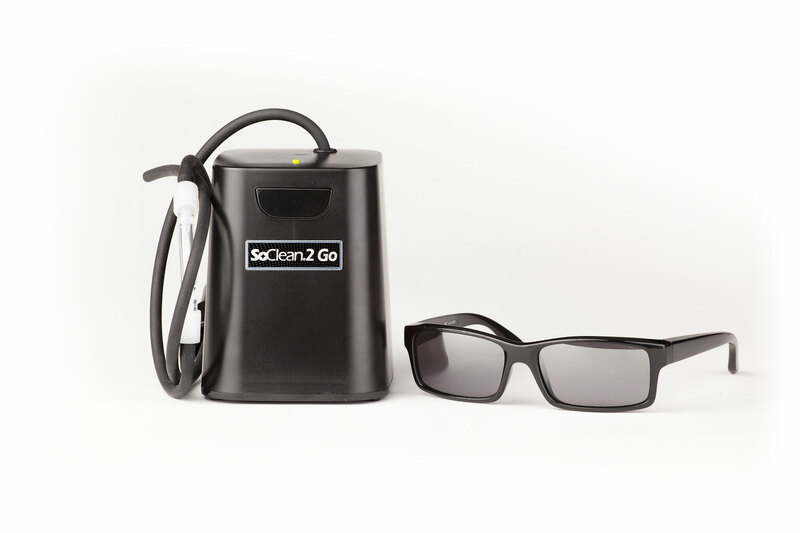 The SoClean 2 Go effectively destroys 99.9% of CPAP bacteria, viruses, and mold in the mask, hose, and water reservoir without requiring the user to disassemble the equipment. This is accomplished without any messy chemicals or even the use of water. The user’s equipment remains completely dry. 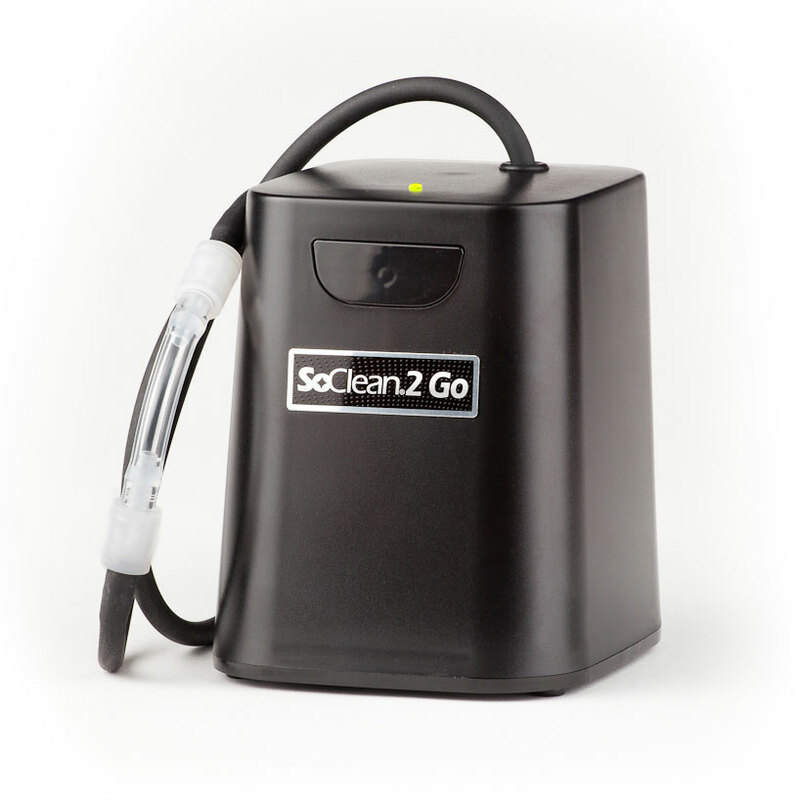 Using safe, natural, activated oxygen, the SoClean 2 Go thoroughly sanitizes the entire CPAP system by eliminating any germs it comes in contact with. It utilizes the same sanitization processes as hospitals and public water filtration, making it the most effective method for cleaning CPAP equipment. 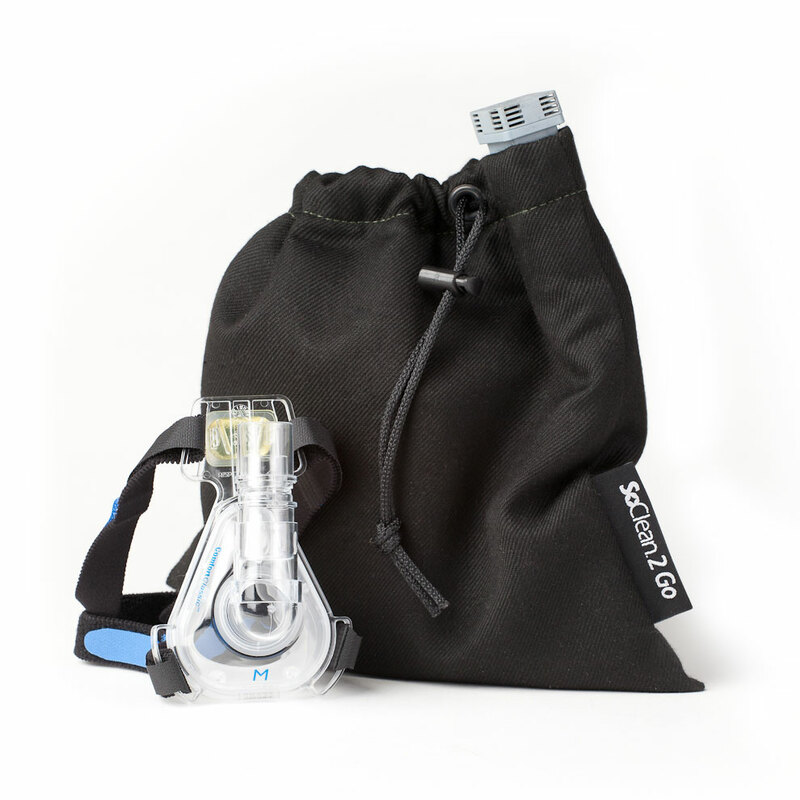 The SoClean 2 Go sanitizing bag fits multiple mask types, from nasal pillow masks to full CPAP masks. The sanitizing bag dimensions are 10.7" L x 10.5” W. Most masks will fit inside the bag with the exception of a full face mask that covers the entire face. 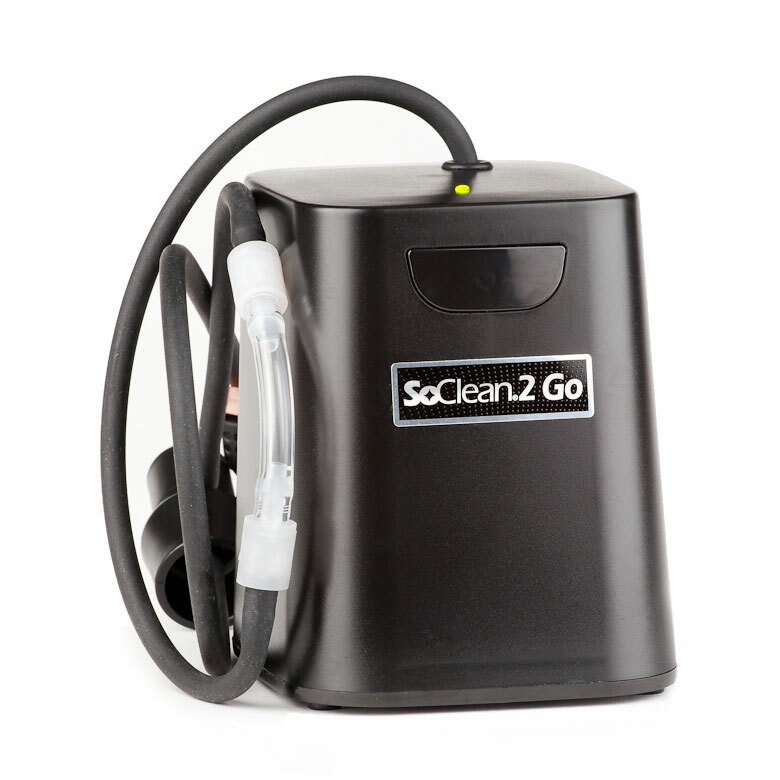 The SoClean® 2 Go uses a universal fitting to integrate into an array of CPAP models. Some CPAP models that use a heated hose will need an adapter to maintain the heated hose function. Available adapters (sold separately): Adapter for Resmed S9 Heated Hose, Philips Respironics System One Heated Hose, Fisher & Paykel Icon Heated Hose, and Fisher & Paykel SleepStyle 600 series machine. Helpful tip: If your CPAP machine uses a heated hose, an adapter will be required in order to function properly. Please contact us with any additional questions you may have. Step 1: While still connected to your CPAP hose, place the CPAP mask fully into the mask bag. Step 2: Pull the drawstrings so the bag closes tight around the hose. Step 3: Turn on the power switch located on the underside of the unit. A Green LED will flash on the top of the unit for 30 seconds. Step 4: Within 30 seconds, press the button above the SoClean logo to begin sanitizing. The LED will be solid Green. If you experience an unpleasant odor after using the SoClean, try using the SoClean on your CPAP equipment several hours before you use your CPAP machine. Make sure that (1) your CPAP tubing is connected to your CPAP machine and (2) if your machine has a humidifier, your adapter (a humidifier top cover with a small black tube) is securely attached to your humidifier chamber before starting the SoClean cycle. To help the odor go away faster, you may also increase the cleaning time to 11 minutes for a few weeks and then decrease the time back to 7 minutes. You can also run your CPAP for 10 minutes to allow air to blow out of your hose before using it for therapy. These steps will help the odor to decrease faster. Do you have a humidifier on your CPAP? If so, you will need an adapter for the SoClean 2 to connect properly. Please select your machine model from the dropdown below to add the appropiate adapter to your order. Don't use a humidifier? If so, you will need a modified injection fitting for the SoClean 2 to connect properly. Please select the injection fitting from the dropdown below to add it to your order. Add Headgear? : Please SelectYes, add headgear ($31.00) No, thank you.